Over the last weeks I've made multiple earrings that each used the leaf-on-leaf cast components. Each pair is totally different than the others, but yet clearly related because of the consistent use of the leaf-on-leaf element. I feel that I could go on like this for ages - rearranging the components into slightly different groupings, exploring the possibilities. 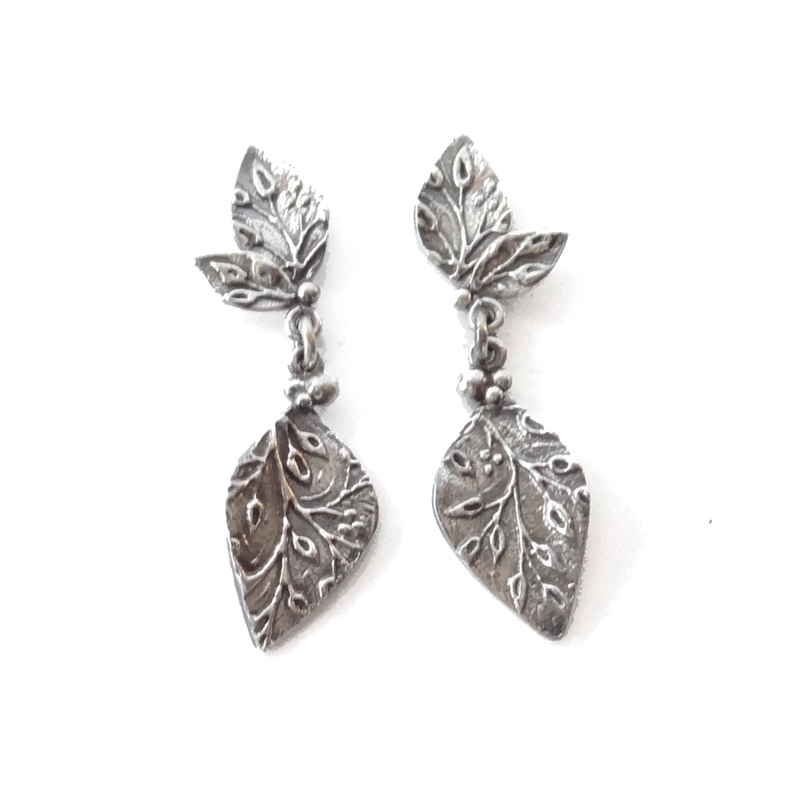 The pair above has a medium and small double leaf stud at the top, with berries and a ring to attach the larger leaf drop. This pair has the same double leaf stud at the top, only done with large and medium leaves. 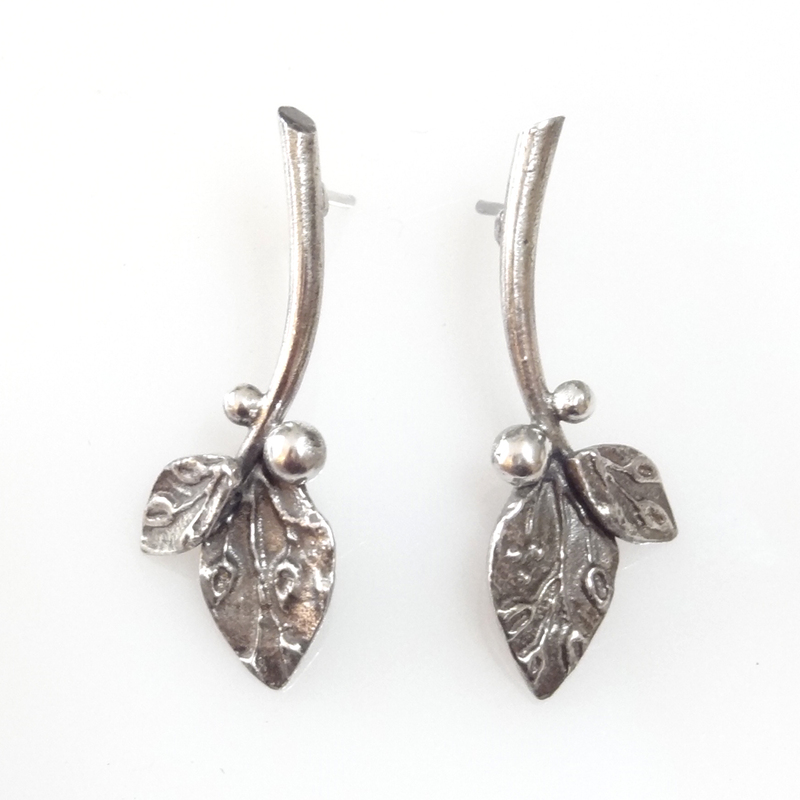 The drop on it is much longer, an open wire leaf shape with a medium leaf-on-leaf at the bottom. Someone suggested it might look more balanced if flipped vertically, so there's another option to make. 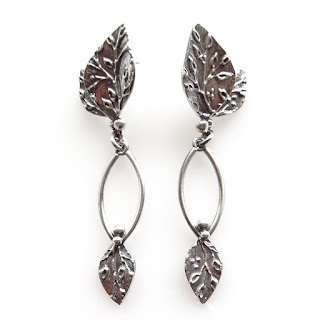 The Twig earrings have a short stem, medium and small leaf-on-leaves and two large berries each. 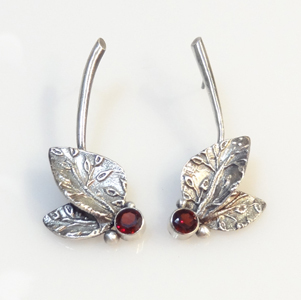 These have the long stems, leaves pointing up instead of down, and tube set garnets. 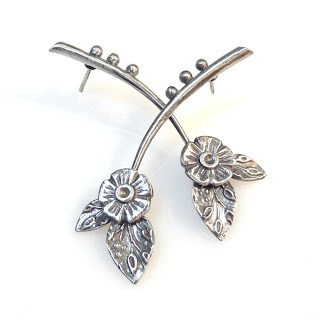 And then I might even throw in another component and add a flower on top of the leaves. Or berries changed to beads along the stem. The limitation of a set of components to work with actually isn't a limitation at all -- it's an invitation to be creative with a limited set of options, to get the most from those pieces by exploring the myriad ways to combine them.